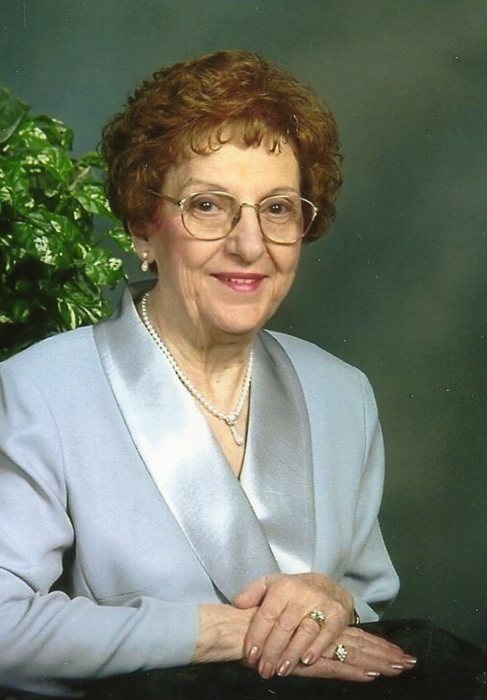 Frances James Siegfried, 92, of Kewanee, IL and formerly of Carthage, IL passed away on March 21, 2019 at 12:20 a.m. at Hillcrest Home. Frances was born May 2, 1926 at her parent’s farm southeast of Bentley, IL. She was the daughter of Harry S. and Ola M. (Strong) James. During Frances’s childhood she attended Liberty Country School in Harmony Township and Bentley School. Frances graduated from Carthage High School in 1944. On October 5, 1944 Frances was united in marriage to Alvin D. Siegfried at the Alexandria Army Air Force Chapel, Alexandria, Louisiana. He preceded her in death on June 2, 2000. Frances was employed at several businesses in Carthage during her secretarial career. She received her Real Estate license in 1984 and was last employed at Siegfried Real Estate and Insurance in Carthage. During Frances’s earlier years, she was a Cub Scout Den Mother and a Girl Scout leader. Frances was a member of the United Methodist Church in Carthage where she served on many committees and enjoyed being a lay reader for many years. She was an honorary member of Delvers and the Memorial Hospital Auxiliary. Frances was an avid Bridge player for over 60 years in various Bridge Clubs in Carthage. She enjoyed socializing with her friends. Baking cookies was her specialty. Her greatest joy was spending time with her family. Frances is survived by her daughter, Susan Joy Siegfried Curtis of Kewanee, her daughter-in-law Cynthia Zahm Siegfried, Collierville, TN: five grandchildren, Dr. Nicole Joy Siegfried (Dr. Chebon Porter) of Hoover, AL, Tara Noelle Siegfried (Cade) Peeper of Collierville, TN, Ashleigh Margaret Siegfried (Chris) Williams of Germantown, TN, Cicely Joy Curtis (Jim) Wadsager of Zion, IL and Daniel James (Cindy) Curtis of Gurnee, IL: and eleven great-grandchildren Craig Taylor Mason, James Hunter Mason, James Cade Peeper, William Corbin Peeper, Cynthia Quinn Peeper, Margaret Gallien Williams, Cynthia Campbell Williams, Aviya Joy Wadsager, Eliya Grace Wadsager, Noah James Curtis, and Theodore O’Brien Curtis and a cousin Harry Strong (Anna), Prescott, AZ. Frances was preceded in death by her parents, her husband Alvin and her son James David Siegfried in 2018. Funeral services will be held at 11:00 a.m. Monday, March 25, 2019 at Printy Funeral Home in Carthage with burial to follow in Moss Ridge Cemetery in Carthage. Visitation will be held from 9:00 A.M. until time of the service at 11:00 at the funeral home. Memorials may be directed to the Carthage United Methodist Church or Hillcrest Home Geneseo, IL.